A CALLOUS driver kicked a walking skeleton of a dog out of the back of a car on to the freezing streets. 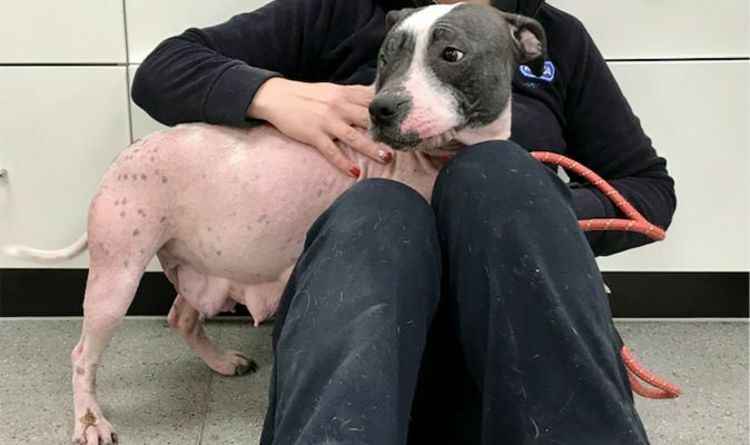 Terrified Winston was luckily spotted by an eye-witness to the heart-breaking scenes who then covered the terrified dog with a blanket and gave him food. It was the latest sad twist of Winston’s tragic life. Animal cruelty investigators have been able to map how the tan Staffie-cross had a number of owners before he was kicked out of the back of BMW on to the streets of Oldham last week. 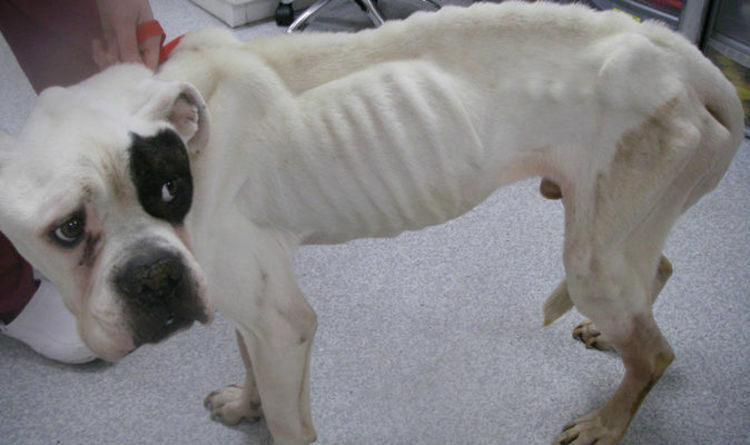 Today RSPCA Inspector Jessica Arajo described Winston’s pitiful condition when he was abandoned. Luckily, a resident was putting their bins out at 8pm in Hall Street, Royton, last Thursday, when they watched the dog being dumped. The witness says a man dressed in dark clothing was in a gun-metal grey BMW when he kicked Winston out of the back door and then fled the scene. Because it was dark, the resident was unable to give any further description of the man or the person driving the vehicle. Having fed and watered Winston, the concerned animal lover contacted the local dog warden. As Winston recovers in the Manchester and Cheshire Dogs Home, the RSPCA has launched an investigation into the dumping. Because Winston was fitted with a microchip, investigators have been able to piece together how he was given away 10 months ago by a woman to a new owner. Yet when that person was contacted, they explained Winston had been given away again but there were no details of the person who had taken him on. 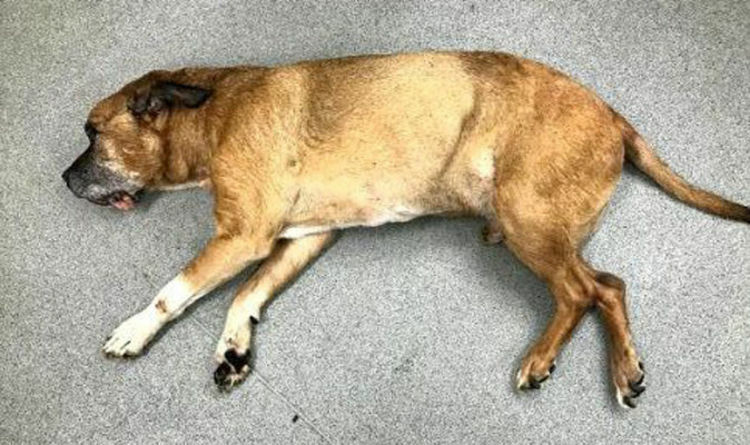 Inspector Arajo said: “I am very keen to trace the last person responsible for keeping this poor dog. It is a really callous act to dump such a vulnerable dog in a dark street. 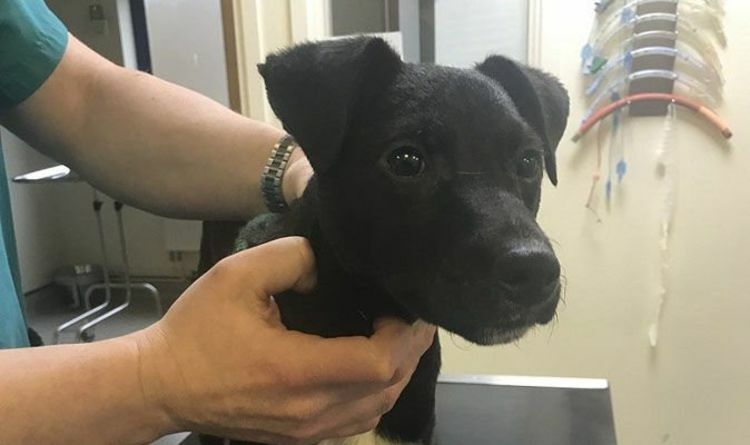 Anyone with information about who dumped Winston or his recent owner should call the RSPCA appeals line on 0300 123 8018. 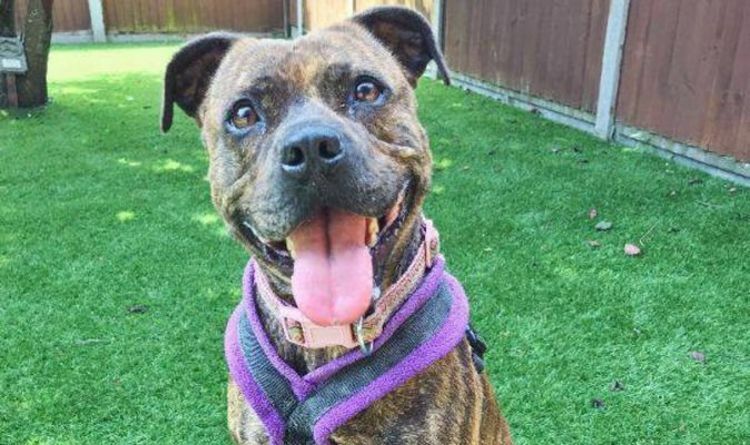 Winston’s torment comes weeks after scenes of another Staffie cross called Snoop being dumped on the streets of Stoke went viral. CCTV cameras recorded a man getting out of a car with Snoop and his bed then deserting him on the pavement on the other side of the road. Snoop was filmed climbing up at the car, wagging tail before the vehicle drives away. 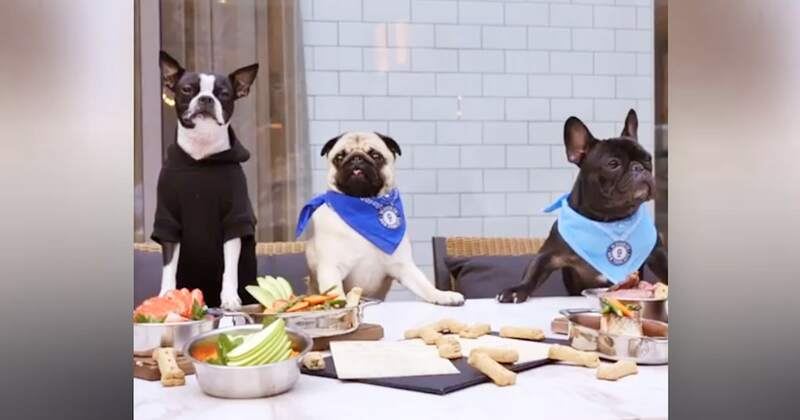 Since Snoop's rescue there has been a clamour by animal lovers to own him. Even superstar rapper Snoop Dogg has been reported offering him a new home. RSPCA spokeswoman Rachel Butler explained: “It is still early days for Snoop as what happened has caused him a lot of distress. Staff who are caring for him have found that he has severe separation anxiety, which is no surprise after what happened.